I know it’s one of the most cliched things to say, but honestly I felt like this past month of May quite literally flew by within the blink of an eye. Of-course I don’t mean literally (in the earlier sentence) in the literal sense, but hey you know what I mean! That being said, it wasn’t like the month flew by because it was a crazy blur of hectic busy days (which is exactly how some of the earlier months of the year were for me). In-fact it was quite the opposite. There were work days and chill days, and all of them were a whole lot of fun (yes, even the work ones). So if there is one thing that I can say that May was about for me – it was balance. The month began with a week-long vacation to Florida, and ended with a road trip to North Carolina over the Memorial Day long weekend. And while both those getaways couldn’t have been more different (because Florida was all about fun & adventure, and North Carolina was about chilling, and catching up with friends), they were both really amazing in their own ways. And honestly I feel like we need both those kinds of vacations in our lives – the touristy types, where we sight-see and explore a new corner of the world we live in, as well the laid-back ones where all we do is kick back our heels and simply relax. So the fact that we were able to take off twice this month, for two such wonderfully unique experiences is something I’m really grateful for. It’s also the reason why I’ll hold May really special, because it was a month where we indulged ourselves, had tons of fun, and took a much needed break from it all. That being said, even though I took a lot of time off, it’s not like I completely ignored work and blogging. As ironic as it might sound, I was able to do a whole lot more this month than I’ve managed to do in the past few months, when I was not even taking any breaks. For instance, for my day-job, I started work on a pretty interesting project, which was also kinda challenging, mostly because of the novelty, but it was fun & fulfilling, and that’s what matters, right? And as far as blogging was concerned, (as a lot of you know by now) I decided to end my blogging break as soon as I got back from Florida. And ever since then, not only have I been blogging consistently, but I have also been posting more than ever, what with at-least 2 posts out every single week over the past few weeks. Of-course I still have to deal with the seemingly never-ending technical issues, but thanks to my hubby I was able to check off one big project in May, which was to move hosting providers from Bluehost to A2 Hosting. And honestly guys, I cannot be more grateful for all his help with this, because this was critical, and yet really overwhelming for me to deal with. In-fact, to be really honest, if there is one thing I am grateful for every single day of my life, is to have this man in my life, who not only truly understands me, but also supports me in all my crazy (and not so crazy) endevours, and helps out in whichever way he can, whenever he can. So I know when I count my blessings, he is definitely one of the biggest ones I have in my life. Along with the little man of-course. And I don’t know how I got so lucky, but I do know that I don’t want to over-analyse it and jinx it. Oh and I almost forgot to write about this, but I can’t let this fall through cracks. Because in my world, this is a big deal. Last month I finally got myself a GYM membership. Yes, right in the middle of all the trips I was taking. Though that is not the big news. The big news is that I started going to the gym on a consistent basis. That is huge for someone like me who in the past has always struggled with consistency and motivation. For now I am sticking to the group classes in the gym for strength training and cardio, but I am hoping in the future I will be able to do more on my own, as well as utilize the swimming pools for exercise. Either way, this time I know that I am not going to slack off, because I no longer look for external motivation to get and stay fit. It’s a lifestyle that I am working towards, and even though I am starting relatively late, I am glad I finally did start before it was too late. And I’m super grateful for all the support, encouragement and advice I get from my friends online and offline. I cannot thank you guys enough for that (you know who you are!). That’s all from my end, folks. I would love to hear from you. What did you do this May? What are you most looking forward to in June? Do share! *Linking this with Vidya’s Gratitude Circle. June has been different, and a little chaotic, but it’s all happy chaos, so all is well. I have indeed been consistent with the gym classes, so I am super glad about that. Woohoo on consistently going to the gym! You won’t know yourself. I know gyms are not for everyone but I find them quite motivating. It’s nice to see May was full of balance for you. Holidays are always wonderful and it’s nice you’ve got much to be grateful for. Hope you have an amazing June! Busy busy. I think it is lovely to take a holiday especially with family. How I miss those days though at times I would go crazy organising all those disorganised people! This is me sending you big hugs and waves of good luck for all that you hope to achieve in the months ahead. YAY on the gym membership. I agree that it’s more a mindset than anything else. Once consistency builds, we cannot break it. I’ve more or less cracked the code with the blog/social media bit, I think. Now to make it work in other areas too. True, it’s just a mental barrier really, and once anything becomes a habit, it’s surprisingly easy to stick to. Happy that May was power packed for you, both in your life and blogging. Nice to hear that you went for a vacation to Florida. Happy June !!!! It surely was a great month for you..a trip, gym membership and also being able to blog consistently amidst all this is indeed commendable. Wish you have a great June as well. Wishing you a happy June, Shantala. Glad to know you are back and blogging. I work in Digital Content Marketing – strategy and implementation, for my day job. It’s fun yet challenging, which is why I love it so much! As far as fitness is concerned, I am a newbie to Yoga, it doesn’t help with the weight, but it makes a real difference in the way I feel, which is also important, right? So for now I am sticking with it, along with Zumba for Cardio. Balance is good! How nice that you had a vacation-trip! Good to hear your hosting woes have been sorted out. The gym membership is a definite win-win. Quickly buddy up with someone there–more fun that way! Happy June to you–and thanks for joining the Gratitude Circle! I did buddy up with a girl for some Zumba classes and my hubby gives me company for Yoga. A partner definitely helps keep you on track and accountable. And thank you for hosting the gratitude circle every month! 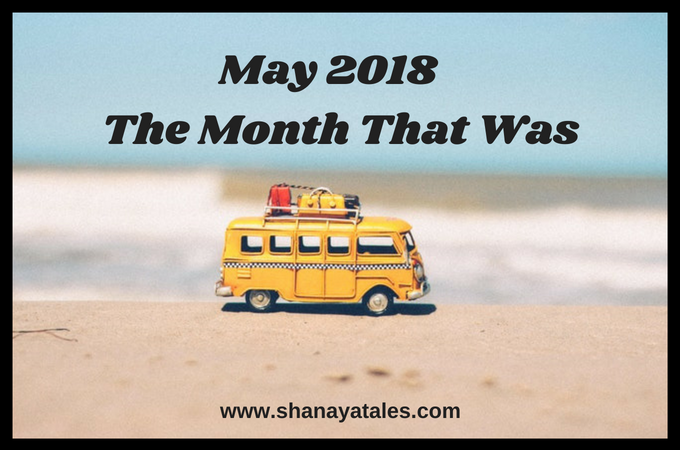 Ah a month that had travel, fitness and writing! And thats sounds so perfect isnt it. 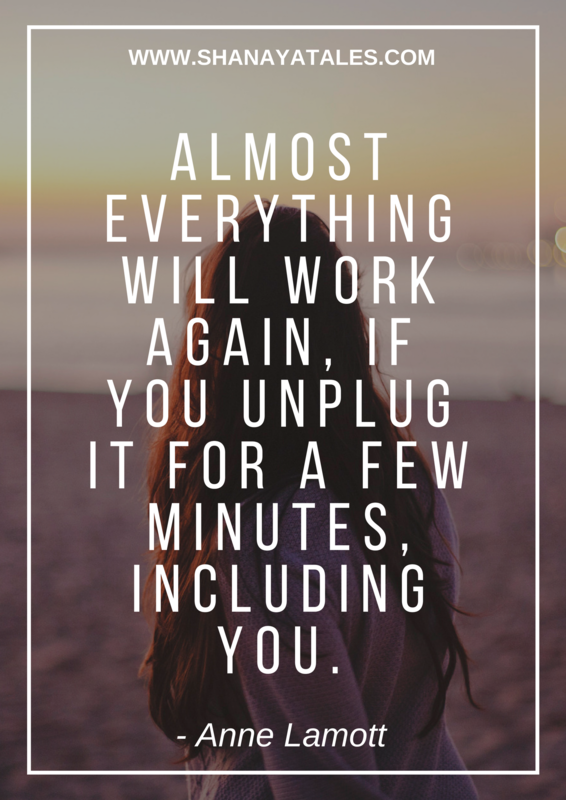 Glad you did not take a long sabbatical from blogging and woah.. did you say two posts a week. Thats awesome Shantala!! Good going on the gym front, I know how tough this could be, cause I am so erratic when it comes to fitness. Just cant keep it going!! I know the struggle, Ramya. I have been so irregular with my fitness in the past that it was borderline ridiculous! I am more consistent now, and I am hoping it sticks! Fingers crossed. Looks like you had a lovely month! Holidays are always wonderful…love the feature pic here! And hurray for consistency with going to the Gym. I am way behind on my fitness goals. Need to get consistent somewhere! Hope you have a lovely June! Wow the holidays and the productive days with work and fitness seem to have set quite an interesting tone to the month of May for you. Happy to note its all worked out for you and now you can reap the rewards. The blogging break does do a world of good no! I am back from one myself and have scheduled 3 posts a week so far – raring to put out so many more. Kudos for the blog move – its one tough thing to do as i found out too last year – but once its done, the peace of mind is just incomparable. Wishing you a joyous June with many more happy milestones! Oh, trips, they make everything in life so much better. I loved reading this particular post because it is true na, that though we love adventure trips, it’s the catching up trips that makes it all worth it. So lucky that you have joined gym already, well, I am yet to take a step towards exercise. My 1 yr old is making me meditate though. 😂 Overall looks like a very productive month on the work and personal front. I have a long way to go. Happy June Shantala. Looks like it was a well balanced month for you and you did get a lot done. I’ve been wanting to move to self-hosted for a while now but have been putting it back. Maybe sometime soon, I’ll get it done. Wishing you an excellent June too, Shantala. First up congratulations on the gym. Since I quit my last one I haven’t found a good fit. I’ve taken to walking for now and I hope to be consistent with it before I move onto to something more challenging. Two breaks in a month sound fabulous. And I agree we need both those kid of holidays. The touristy ones are fine but they tire you out while the laid back ones are rejuvenating but not so exciting. Glad you could do both. Thank you, Tulika. And oh yes, we need both kinds. I am super glad I got to do both this past month. You seemed to have had a wonderful vacation yourself in May. I loved reading about your time in Lucknow. And yes consistency is more important than challenging yourself in the beginning. I have tried to do the latter before the former and failed miserably – at both. I am sure you will find out what works for you, so long as you keep at it and don’t give up.